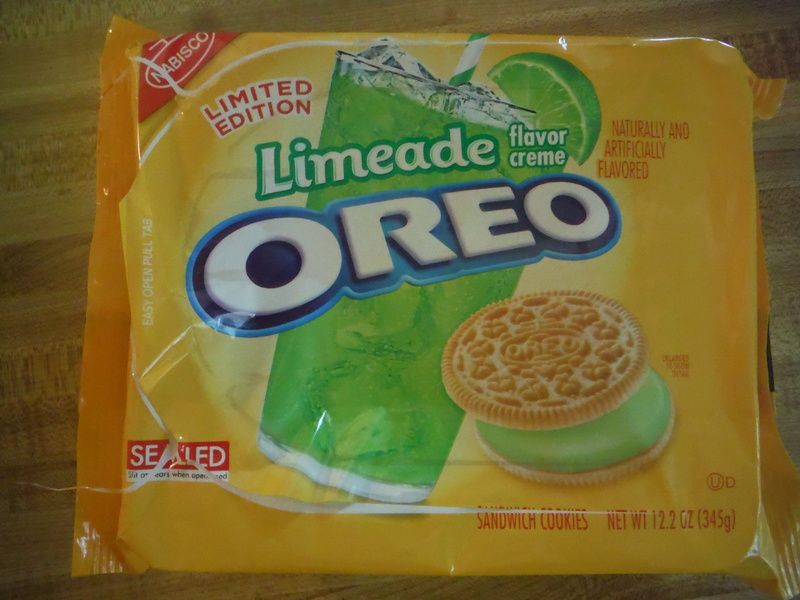 Continuing with this week’s theme of Oreo reviews (and our never ending quest to get free cookies sent to us) I am here to review another limited edition Oreo flavor out now: Limeade. 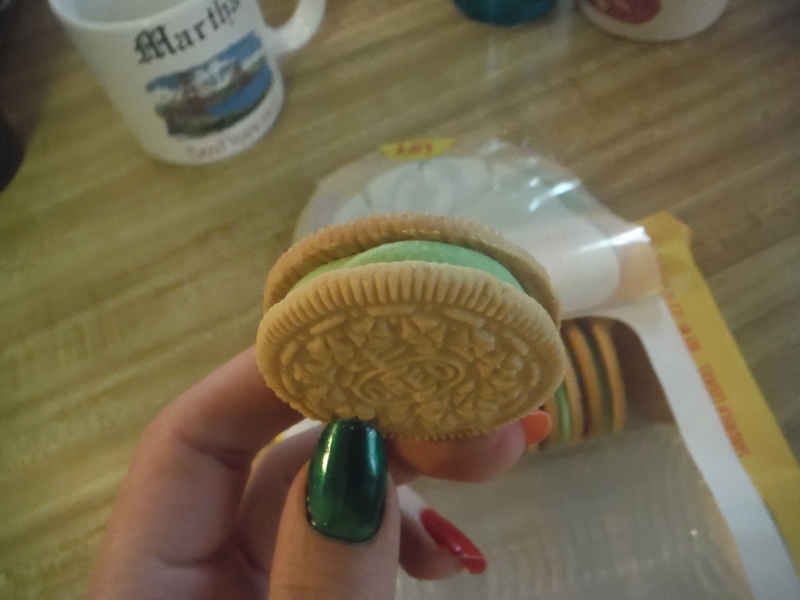 I was instantly intrigued when I saw these cookies in the grocery store last week, mostly because of the bright green filling. Luckily they happened to be on sale, so they quickly made their way into my shopping cart. However I became a bit wary after running into the Oreo rep lady, who happened to be there refilling the shelves. Her opinion of them was, “They’re not terrible.” While that’s certainly a good sign, it’s also not the highest praise either. So…how did I find them to be? I actually really liked them. They definitely made the right choice of using the vanilla cookie as opposed to the chocolate one. I’m sure chocolate and lime would have been an okay flavor combo, but the vanilla cookie lends a bit of a creamsicle feeling to the whole thing. 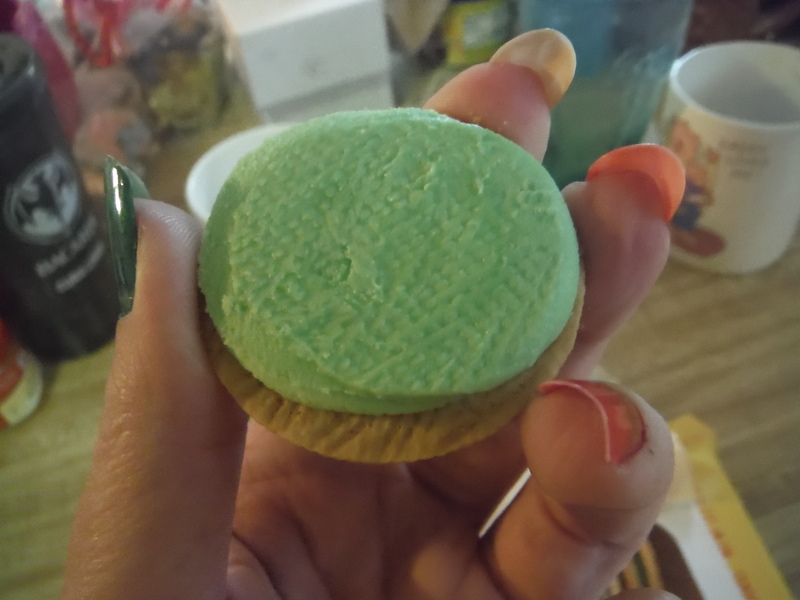 The best part is that the limeade flavored cream filling actually tastes like limeade. It reminded me of lime ice pops or lime Jell-O. I suppose part of my enthusiasm for it lies in my enjoyment of lime-flavored things. If you don’t like lime, you won’t like these. But if you’re a fan of lime, you know how exciting it is to actually find something lime flavored, since it seems that green apple is overtaking lime as the go-to green flavor. So good for Oreo, embracing the lime! Would I recommend Limeade Oreos? Yes! Posted on August 1, 2014, in The Snack Report and tagged cookies, lime, pleasant surprises, review, summer, yummy. Bookmark the permalink. 2 Comments.